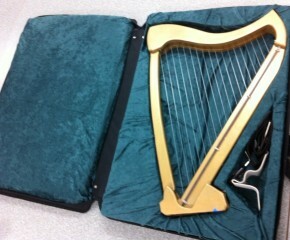 Our crystal-clear harps are visually stunning instruments with beautiful sound. 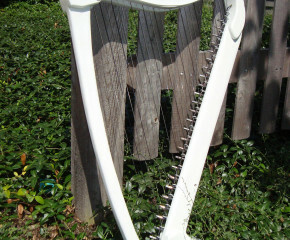 To find the clear harp of your dreams, ClearTones harps come in 26 string and 30 string sizes. The finish is glossy, and the multi-colored LEDs show up especially well. Kaleigh is holding a 26 string model. 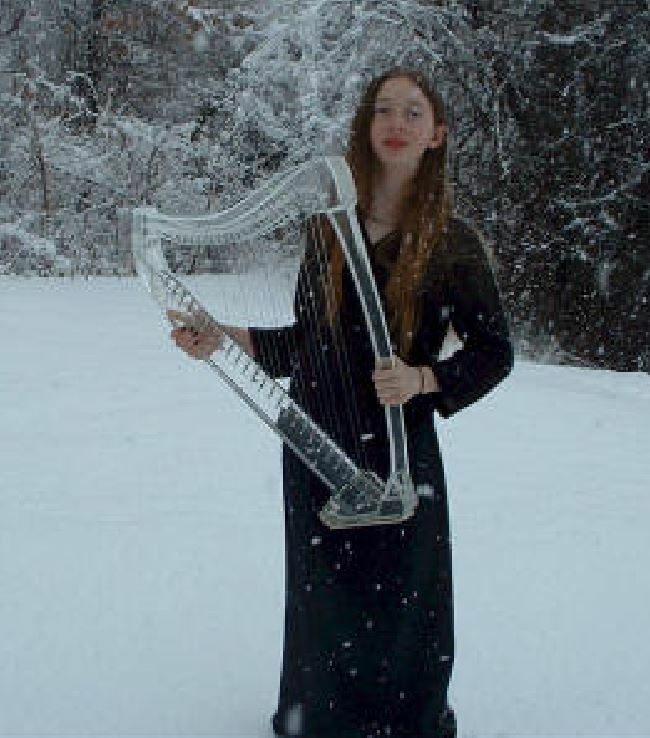 Yes, that is actual snow – ClearTones harps are very weather-tolerant, almost as though they really belong in an ice world.